While news reports have been focused on the failing Greek economy and more recently that of Italy, there are many other countries which are far from stable. Even beyond the so-called PIGS there are other European economies which are not out of the woods as far as their deficits are concerned. British media in particular has almost gloated at the state of some European countries. 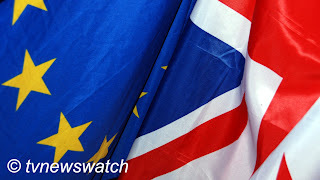 Euro-scepticism is is strong in Britain and some are seeing the current turmoil in Europe as a strength to the argument over why the UK should not join the Euro and even withdraw from the Eurozone altogether. However Britain's economy is far from stable, and in some comparisons could be likened to some of the more unstable Eurozone economies. In fact some have even suggested the acronym PIIGGS, to include not only Portugal, Ireland, Italy, Greece and Spain, but also Great Britain [MPRA / Hindu Business Online]. Spain has seen highest rise in unemployment in the Eurozone with nearly 20% out of work, a dramatic increase since 2008 when around 9% were unemployed. Greece, which has been the focus in recent months, also has a high unemployment rate standing at 16.7% up from 7.6% over same period. Italy has levelled of at 8% up from 6% in 2008, but a massive reduction from the 11.1% unemployment rate seen in 1999. However Britain which sees itself outside the Eurozone, and is trying to distance itself from the crisis, is on a par with many of the beleaguered countries. Britain's unemployment has also been rising in recent years and now stands at 7.9%, only marginally less than Italy [BBC]. But the comparison of economies is even more stark when looking at other factors. Italy, Greece and Spain all have massive debts something which has been the focus of politicians and financiers in recent weeks. But Britain is also straddled with a huge mountain of debt. Greece and Italy have debts of 142% and 119% proportional to their respective GDPs. However Britain is also approaching danger levels with its debt accounting for 80% of GDP. Spain in comparison is sitting at a relatively comfortable 60%. Most of the European countries have considerable debt issues, even the relatively stable countries such as Germany and France. In fact the countries with the lowest debt proportional to their GDP are Luxembourg and Estonia, standing at 18% and 6.6% respectively [BBC]. All countries have struggled to pick themselves up following the 2008 downturn. Comparison charts show a massive slump in GDP in 2008 compared to the previous year. Estonia fell the lowest with negative growth. But there was a similar picture in other economies. Not one Eurozone country failed to drop into negative growth, though all but three - Spain, Greece and Ireland - have managed to pull themselves into positive territory [BBC]. Of all the Eurozone countries only Estonia is raising more in taxes than it is spending and has an annual surplus. Finland and Luxembourg are above deficit levels, and all other Eurozone countries including Britain are in deficit. Ireland is by far the worst with its deficit some -32% as seen as a proportion of GDP. In comparison Greece is at -10.5% while Britain is at -10.4%. Spain and Portugal are slightly better at around -9% and France is -7%. Even Germany stands at -3.3%, only marginally above Italy's -4.6% [BBC]. However it is fears over the future of Italy which is affecting stock markets. As Italy increased its rate of borrowing [BBC] markets became jittery. In the US the Dow Jones fell -3.20% with the FTSE dropping some 0.5% [BBC]. However, there was some confidence in European markets with both the Dax and Cac 40 gaining. Even as the markets opened on Thursday only the Dax and Cac 40 remained in positive territory. With the country's rates surging above a dangerous 7.0%, Italian Prime Minister Silvio Berlusconi has pledged to step down after parliament passes key reforms. Meanwhile the president of the European Commission has pleaded for the countries that make up the Eurozone to pull closer together to solve the economic crisis. Jose Manuel Barroso issued the call for the EU to "unite or face irrelevance" adding that the crisis "will jeopardise the future prosperity of the next generation." It is of course important for Europe to maintain its commitment and resolve the crisis in Greece. But it is equally important to keep a close eye on all the other countries that make up the Eurozone, not only the PIIGS. Britain too needs to evaluate its own place in Europe, as well as its economy. Opposition leader Ed Miliband has accused Prime Minister David Cameron of merely "shouting from the sidelines" and called for Britain to take a larger role in solving the debt crisis. Miliband insisted it was "massively in our interests to work with the countries in the Eurozone". However Britain is being increasingly sidelined, partly due to its not becoming a full member and joining the Euro. When Cameron attended recent talks in Brussels he was effectively shut out of discussions. And some member states were not afraid of making airing their opinion. French president Nicholas Sarkozy was particularly outspoken saying, "We're sick of you criticising us and telling us what to do. You say you hate the euro, you didn't want to join and now you want to interfere in our meetings." ["Nous en avons assez de vous entendre nous critiquer et nous dire ce que nous avons à faire. Vous dites détester l'euro, vous n'avez pas voulu le rejoindre et maintenant vous voulez vous ingérer dans nos réunions"] [Telegraph / Guardian / Daily Mail / Le Figaro]. China is seen as a possible savour by some, with the growing superpower stepping in to buy up some of its debt. Just as with the US, Europe is an important trading block for China. A collapse of the European economy would seriously affect China's export trade. As such it is in China's interest to help Europe achieve financial stability. Britain is small fry in comparison. While Britain has strong business ties to China, it is inconsequential compared to the Eurozone and the United States. Should Britain flounder it is far less likely to receive any financial bailout, either from Europe, China or its close cross-Atlantic ally. As some have commented, Britain may well be screaming to be let into the Euro-club in the coming years [Telegraph / Guardian]. By then it may be too late.